Different cascading sources of funding in England, for different age groups, can be targeted flexibly to reduce NEET levels. 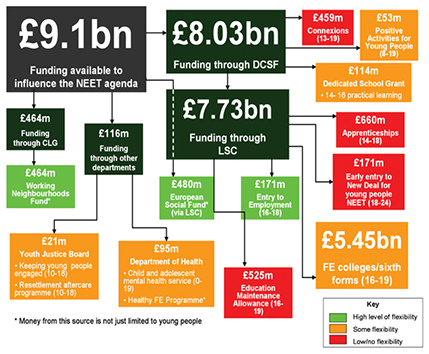 Original chart showing how different cascading sources of funding in England, for different age groups, can be targeted flexibly to reduce NEET levels. This chart is hard to understand, not effectively showing how funds are cascaded. The colours are also hard to read properly. Final chart shows how funds are distributed through a network of providers, using a simplified colour scheme that effectively illustrates levels of flexibility. 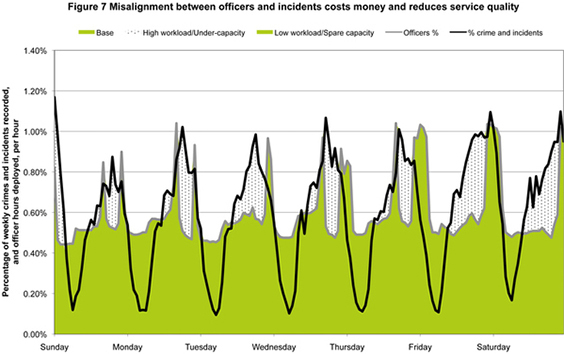 Misalignment between officers and incident costs money and reduces service quality. Original chart showing a misalignment between times when crimes happen and when police officers are on duty. This chart does not make it obvious that it shows over a period of a week how misalignment occurs. 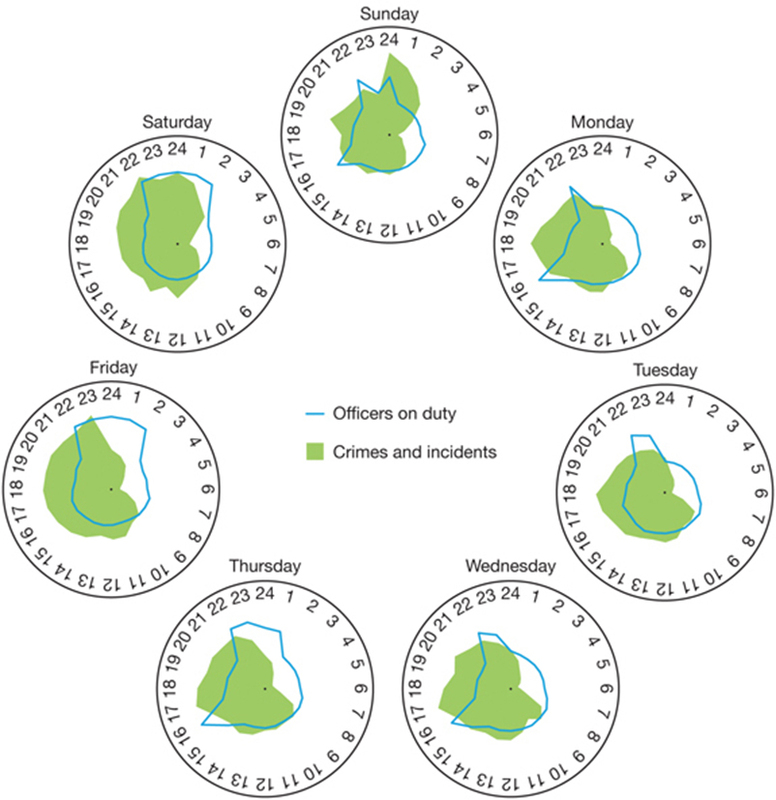 Final chart plots the data on 24 hour clocks, more clearly showing the times when officers on duty and reported crimes misalign. 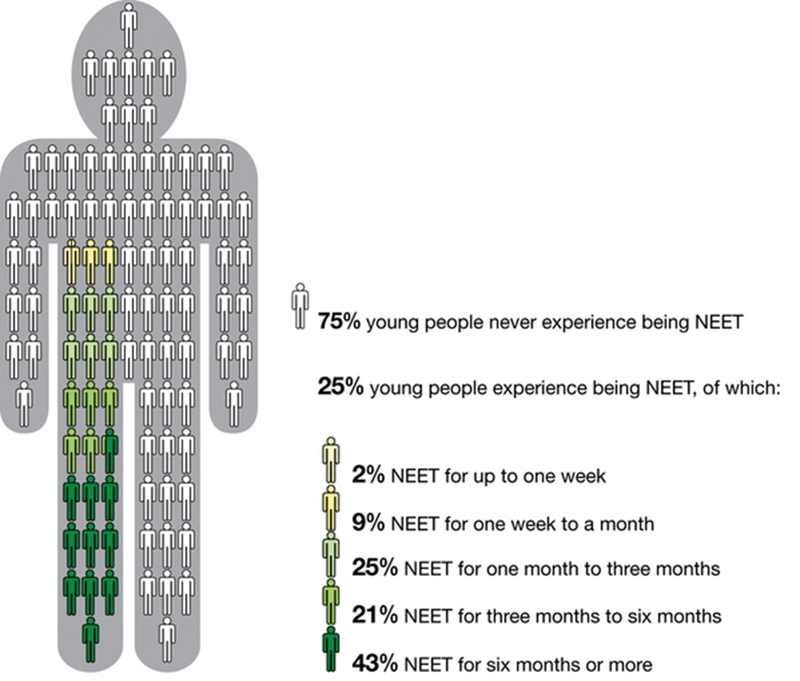 Percentage of young people who have experienced being NEET (Not in Employment, Education or Training). 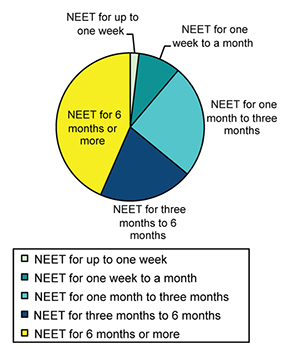 The pie chart is fine in showing what percentage of young people are NEET, but it seems a little impersonal for such an important issue. The use of a person symbol allows the chart to more obviously convey the issue that this is people’s lives being discussed. Key results from the 2008/09 NFI exercise, number of outcomes. I was originally given a table detailing the comparison between two years of fraud and overpayments tracking. 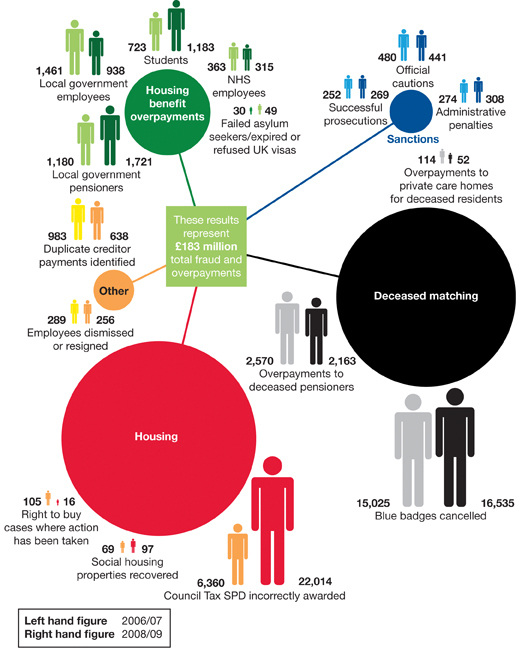 The circles are in proportion to what percentage of the £183m fraud and overpayments figure they represent. The people are also in proportion when looking at the breakdown in sections. Overall this allows the reader to easily see in what section fraud and overpayment occurs most. Most funds are placed in institutions owned and based in the UK. 57% of funds are held in UK owned banks. I was originally given a table detailing how funds are placed in institutions around the world. To make it more easily understood where funds were held around the world, I placed the information on a world map.